After a surreal stay in Vegas (my lips are sealed) it was time to get back on the road again. After leaving the strip, we headed North and found ourself in the familiar desert surroundings we arrived in. 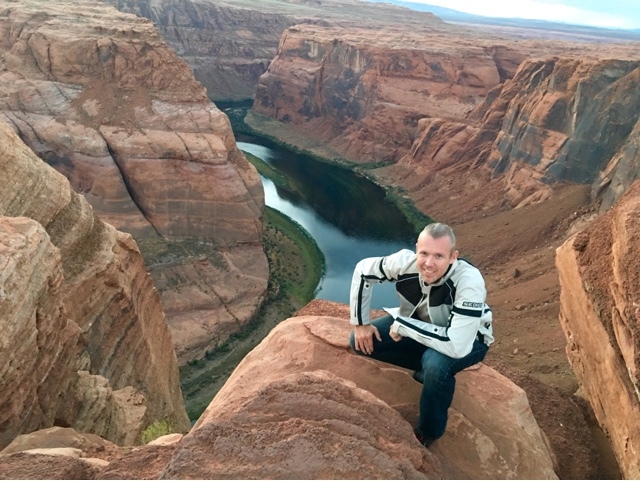 Only a few hours into our ride, this changed drastically as we entered Utah and we got to enjoy some nice big canyons. Soon after, we entered Zion National Park. 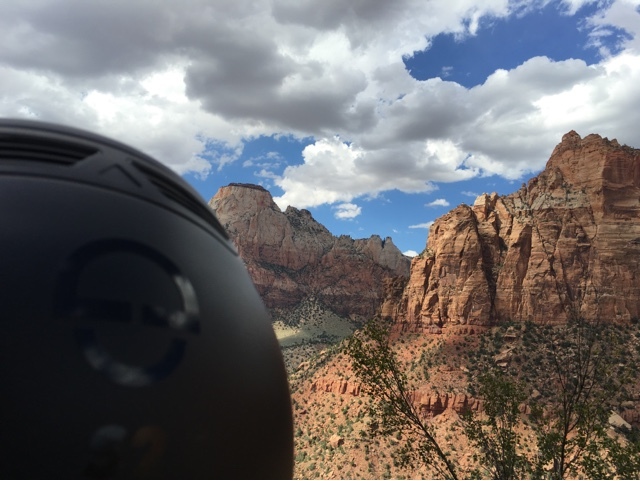 Zion had absolute amazing views and some sweet curvy roads, although a little busy on this Labor Day weekend. Just as we got through the park, we ran into some rain. We weren’t quite prepared for wetness, so we pulled into a a cafe by the road to have some warm pie to warm us up. Utah rocks! 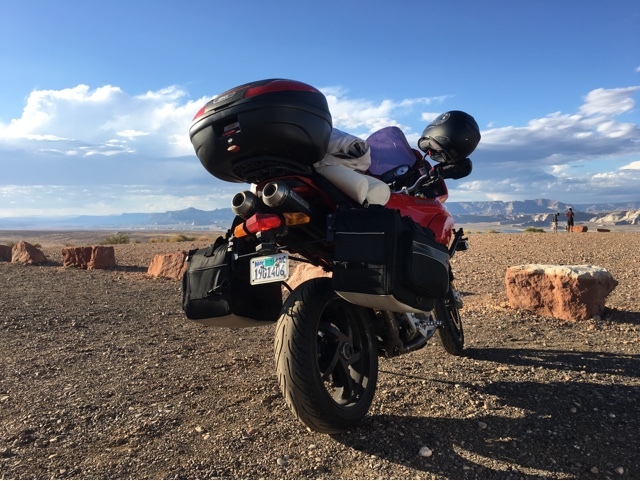 We got back on the road again, only to have even more rain soaking our new dry clothes, but we powered through it and eventually made it to Lake Powell. We pulled into a vista to take in a spectacular view of the lake, a dam and surrounding mountains. After dropping our bags at our hotel, we did a short hike to Horseshoe bend for yet another jaw-dropping view. Today was all about spectacular views. Tomorrow, we’ll get even more of this, as we head for the Grand Canyon.